All requests which would result in a positive effect on people’s welfare or quality of life or improves opportunities and life choices, are considered. We provide support for people of all ages in financial hardship, who are in need of specialised equipment. 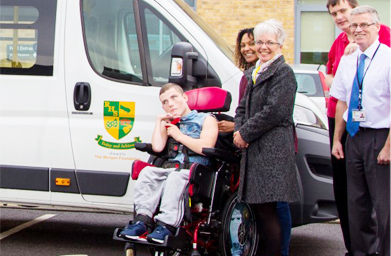 We provide funding for standard or wheelchair accessible minibuses for charitable and voluntary organisations, special needs schools, community transport groups, etc.